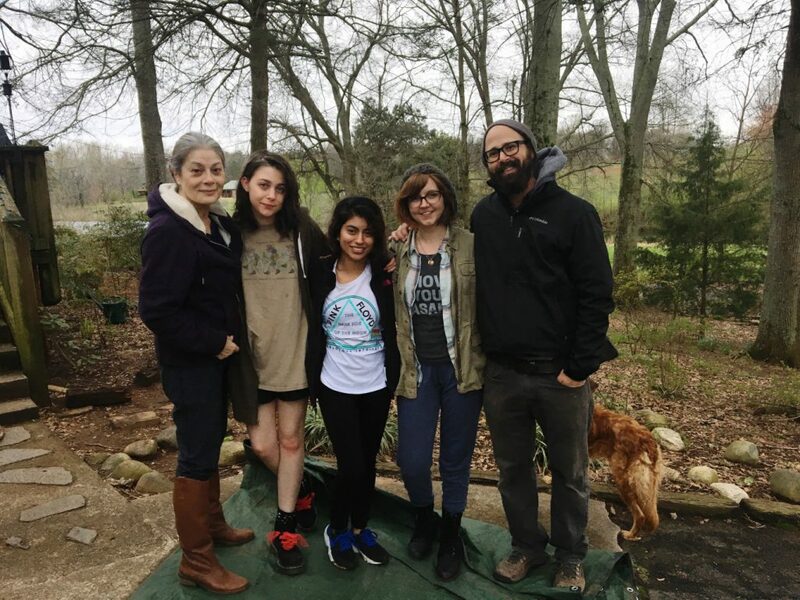 Dead Winter is a post-apocalyptic story about a young Hispanic woman named Audrey (Yessenia Hernandez), who lives with her grandmother Sophia (Laine Smith) on an isolated mountain farm. Reminiscent of the same world in this year’s blockbuster A Quiet Place, Audrey and Sophia live a solitary existence just barely getting by, but reinventing life without many modern conveniences we take for granted. The third member of their family is going through a gruesome change, something akin to what we saw in Trey Edward Shults’ It Comes at Night. Hogue, who has directed short films in the past, was determined to produce Dead Winter, leaving the directing duties to another. As an assistant professor of film and digital media at the University of North Georgia, Hogue turned to one of her fellow professors, Jason Winn, whose filmography in short and feature filmmaking is deep. 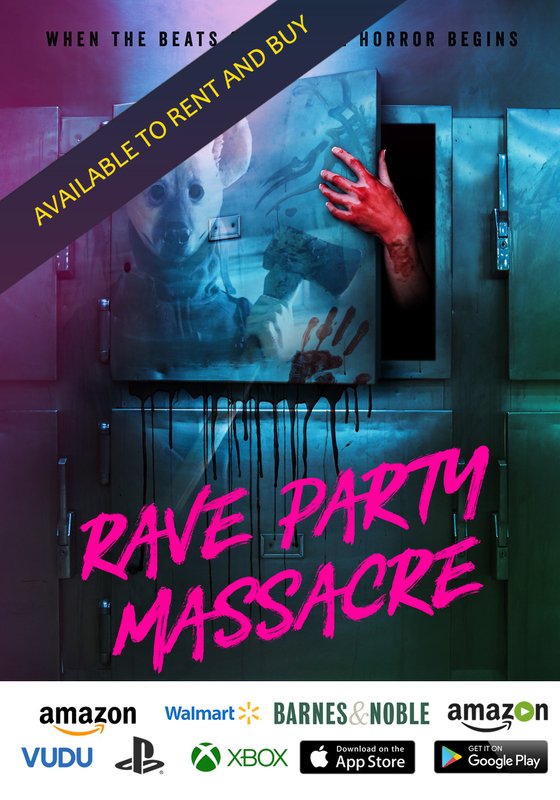 Winn recently completed another horror film, the political slasher Rave Party Massacre. Preserving subtext was very important to Winn when he shepherded Rave Party Massacre. This helped make him perfect for Hogue’s introspective short film. Hogue, who teaches post-production and has great experience with color grading, had to rely on her training and education when crafting the look of the film. Therefore, while shooting, Hogue knew that she’d have to work extra hard in post-production. Hogue gets the wintry look of the film, which is marked by soft shades of blue, exactly right. It makes the viewer feel like the world is now in perpetual overcast, reinforcing the dark, depressing thematic elements of the narrative. The script was a long time in development by Hogue. There is a monster in the film, to be sure. But while there’s definitely a zombie flavor to it, Hogue and Winn insisted on referring to the creature as anything but a part of Night of the Living Dead director George A. Romero’s genre of horror. And, to be accurate, when Winn and I spent time with Romero at Sundance one year, he explained that “zombie” wasn’t a term he used originally either. “Essentially, the monster represents a difficult decision—whether it’s a looming divorce, dealing with toxic relationships, struggling with addiction, etc.” Says Hogue. 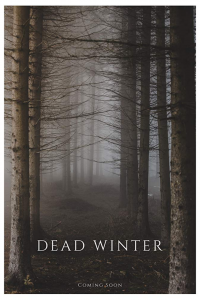 Dead Winter is a meditative film, setting it apart from the bombastic action, horror, bloodbaths that week-in-and-week-out inhabit the small screen. Hogue’s personal connection to the material is metaphorical. Her approach, followed by Winn, is subtle giving the audience a chance to unravel the meaning for themselves. Romero would certainly admire the intellectual use of his ideas.